Of all the asset types to invest in, stocks is the one where you can fairly quickly create yourself an account online and start buying and selling to your heart’s desire. That is why so many people are invested in this asset type. Investing in stocks is easy to get into and out of. Now, just because it’s the easiest does not make it the best. It’s like anything else out there. You have to educate yourself in order to be successful. I’ve played in the stock market a few times and well I really wish I could take those transactions back. This page is not about telling you to avoid investing in stocks. 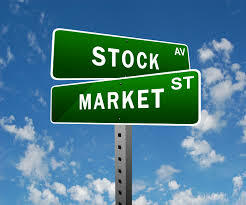 There are many people who are investing in stock and are very successful. As a matter of fact I started reading a book by Tony Robbins entitled “Money: Master the Game”, where he interviews several titans of the stock market game. If you take the time to educate yourself and create a plan and work that plan; I’m sure you too can make lots of money in the stock market. Even if you do invest in stocks, you might want to consider diversifying your portfolio with other types of assets….such as real estate. The only reason I bring up this asset type is to compare it to real estate and to share with you why we decided to instead invest in the king of all asset classes. When I first started as a 26 year old buying my first house I didn’t have any money to invest. Yet I managed to find properties that I could buy with no money down. In this climate that strategy is still employed. You can’t use that strategy though when you are investing in stock. You need to have the money upfront to purchase that stock. Leverage is also non-existent when investing in stock. When you have gains they will be on the amount you put up and no more. But with real estate the gains are on the entire amount of your property, which translates into incredible percentage gains. 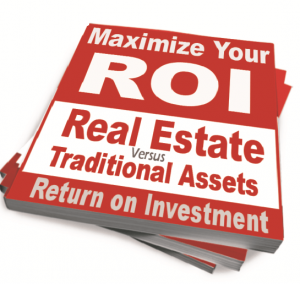 Perhaps the most significant aspect when investing in real estate, that does not exist with investing in stock, is the incredible tax advantages, you get when you don’t even put up any money! Now that’s what I call having your money working for you. Looking for more in-depth comparison of how stocks compare to real estate? Sign up below and download our Investment Comparisons Video series. We’ll review the risks and returns of many investments in our current economy and compare them to those of cash flowing real estate. Disclaimer: Simple Acquisitions only creates partnerships with accredited investors and always obtain investing advice from professional advisers.